Truck Mounted Steam Cleaning in Bellevue,Wa. Clean You Carpets Better without Using Harmful Chemicals Cleaning your carpets is a main task when cleaning your house, especially if you have kids or pets. Though there are plenty of ways to clean carpets, truck mounted steam cleaning is popular today as it is easy and more effective.Normally, you have to wait at least 12 hours or sometimes 24 hours after cleaning the carpet to walk on it. When it comes to truck mount option, you can dry your carpet within 3 hours as it uses steam to clean. Thus, the cleaning process can be finished in a short time and you don't need extra carpets. You can use the same carpet on the same day.As truck mounted system cleaning is powerful, the job is much quicker. This is a very important because we have busy daily routines. You will feel the difference if you get a chance to compare it with a normal machine.You will get superb results from Truck Mounted Steam Cleaning in Bellevue,Wa. It is an effective way to remove all the dirt and grime. If you have pets, this is an important point because they normally leave hair and mess on carpets. Thus, this is a carpet cleaning method which helps to maintain a healthy life.Though this cleaning is powerful, it doesn't include any harmful chemicals. 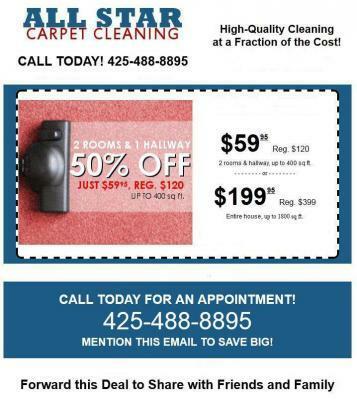 Chemicals can do more harm than good to your carpets and you will be lucky if you can clean them without any chemicals. Always remember that the chemicals can reduce the life time of your carpets.When you decide a option to clean your carpets, there are some points you have to consider. * Quick job* Better results* Doesn't have harmful effectsWhen Truck Mounted Steam Cleaning in Bellevue,Wa.can fulfill all the above needs, do you go for another option? According to my experience, you won't be able to find another method to clean your carpets better than this steam cleaning.